Tranquility is key while going out onto the waters for a great day of fishing. That is why Red Cedar Lake and the entire Marten River Area in Ontario are the most ideal spots for fishermen to come to so that they can soak in the serenity while enjoying their favorite types of fishing activities all year around. 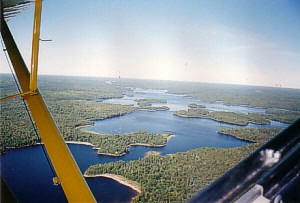 The Red Cedar Lake area in particular is a very historic spot. Red Cedar lake and the Marten River Area are blessed with a stunning landscape all year around so you can enjoy a little more while fishing here in Ontario. The Red Cedar Lake is formed by two major rivers that flow into the man made lake, the Marten River and the Temagami River. This little piece of heaven in the Marten River area is full of different wild life species that you can catch a glimpse of while hiking through this picturesque landscape. The Marten River is a rather short river yet it provides a lot of continuous water flow because of the various lakes and rivers which supply this river. The lake itself is 18 miles long with 5984 acres of sparkling surface area and a vast perimeter of almost 83 miles. The best part about the Red Cedar Lake and the Marten River Area is that no matter what season it is, you can come down and fish. Of course you may not be able to go fly fishing in the winter but at least you can go ice fishing for some of your favorite fish species. During the summer this beautiful area of Ontario is rather nice to visit. Not only is all of the flora and fauna in full bloom but also the temperature will reach 30 degrees or above Celsius. Just remember if you are coming to Ontario for a winter visit, the temperature can drop to a chillingly low 40 degrees below Celsius. If you can beat the cold, then visiting the Red Cedar Lake will be worth heavy layering as this is an unforgettable ice fishing experience. As mentioned before you can go angling on the waters of the Red Cedar Lake for many months of the year. The high months for angling are between May and August. Depending on when your favorite fish species is in season you may want to plan your fishing trip during those particular months. You can also enjoy ice fishing when the Red Cedar lake freezes over. 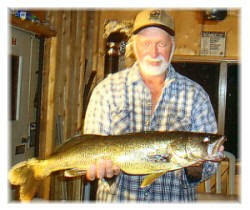 There are also various fishing tournaments and derbies during the highest fishing season months, July and August. Some of the fish species that you should expect to catch while out in the Red Cedar Lake and in the Marten River area are the following species: yellow perch, walleye, lake trout, herring, northern pike, ling cod, whitefish and smallmouth bass. While you are in the area, you should not miss out on other great touristic opportunities in the area. You can visit the Marten River Provincial Park where you can enjoy a relaxing day out on the waters canoeing your heart away. Other activities that you can participate in while in the area include watching the birds migrate, hiking the trails, bike riding and you can even go camping. There are also various places to stay right by Red Cedar Lake so that you can enjoy this majestic landscape throughout your whole vacation here in the Marten River area.